Why do you have a minimum of 4 sessions per week? We deliberately choose not to offer a crèche style facility and ask all children attend a minimum of 4 sessions (20 hours per week) as we believe any less time would invalid our core values. By taking the time to get to know each child and their families we can truly make a difference in a child’s early years education. We passionately believe that in less than 20 hours per week we cannot support parents as their children’s first and most important educators, fully involve parents in nursery life and their children’s education or inspire parents in their own continuing education and personal development with regard to striving for the best possible outcomes for their children. Please contact the nursery to let us know, your child's key person will be planning activities for your child and it helps them to be aware so they plan effectively for your child's next learning steps if your child is absent due to ill health it is important we are aware of any communicable illness. Yes if it is prescribed by a doctor and it has been administered for 48hrs, this is in case of any allergic reaction. For example if your child is on medication such as antibiotics, they must remain at home for the first 48 hours of the course. They may then return at the discretion of the Nursery Manager. What happens if my child becomes ill at nursery? If your child becomes ill during a nursery session, the manager will immediately contact you (parent/guardian) or the emergency contact indicated on the application form. Where your permission has been given, Calpol / Paracetamol will be administered if a high temperature is present. If necessary, staff will administer first aid and seek further medical help (Hospital/Doctors) and stay with the child until a parent arrives. Why does the emergency contact need to be local? You or your emergency contact are required to collect your child within one hour of being called by the nursery as, we do not have the resources required to attend on a one to one basis with a sick child. Also experience tells us in that a lot of cases you may want the reassurance of visiting a doctor to get a professional medical opinion on your child’s illness that day. If your child is suffering from a high temperature, sore throat, rashes, headache or discharges from eyes or ears, he/she should not attend nursery until the symptoms have cleared up or until medical advice is sought and clearance is given for your child to return. If your child is suffering from sickness and/or diarrhoea, he/she should not attend nursery for 48 hours after the symptoms have ceased or until clearance is given by a Doctor, in writing. Please see our exclusion policy for details. Your child's key carer will advise you when the time arises and when settling in sessions are due to commence to ease your child's transition. In addition we operate an open door policy and you can request to view any room at any time. Breakfast, Lunch and a high tea are provided also a morning and afternoon snack. We are part of the nursery milk scheme and your child will be offered 1/3 pint of milk each day they attend nursery. A daily diary will be emailed to you daily. Parent consultation every six months. Observations will be emailed to both parents with pictures and videos as well as how we are planning to move your child forward to achieve their milestones. Do you have parent’s evenings? Experience tells us Parent`s evenings are not usually very well supported. We instead arrange an individual meeting with your child’s key worker once every six months. These detailed meeting last around 1-2 hours and ensure the parent – nursery partnership delivers outstanding outcomes for all children. However should you wish to speak to anyone in the meantime please arrange a mutually convenient time. Please contact the nursery manager by email or in person as it is essential that our records on your child be kept up to date. Please ensure you inform the Nursery Manager promptly of any changes to any of the information given on the application form as it vital that we know each and every detail. It is for your child’s safety. Please follow the following link http://www.ofsted.gov.uk/inspection-reports/find-inspection-report/provider/CARE/EY462893. Why do I need to inform you where my child is going to school? Transition into school is an important stage of your child's life and we work in partnership with your child's school to support this process including sharing of children's learning journeys and we invite teachers into our setting to meet the children in a familiar environment. Can I pick up my child early from a session? Of course you may pick up your child at any time you want. However please remember if you haven’t told us we may be out on a walk or be in the middle of an activity your child really wants to be involved with. In order that your child gets the most benefit from our education and care please discuss with a member of management if you are thinking of picking up really early on any occasion. Do you have a waiting list and how does it work? Then first come first served. What do I need to bring to nursery on the first day? As a nursery we offer an all-inclusive service so you don’t need to worry about buying nappies and wipes or indeed providing formula milk. The details for your first day will be discussed at your enrolment meeting but as a guide please bring in sunhat, wellies, change of clothes, calpol and nappy cream if used. Please do not dress your child in anything that has sentimental value or of great costs as your child will enjoy messy play and we cannot be responsible for clothing becoming marked. If your child bumps or bruises him/herself at home, please ensure you inform the nursery staff on arrival at the nursery, who will require you to complete a form. This is vital to ensure we have full knowledge of potential medical issues. Why do you have an enrolment meeting? As part of our commitment to a full parent partnership and do give new parents time to get prepared for nursery we want to take time to go through the application form and terms and conditions in detail. This allows a clear understanding of these important documents. As a company whose foundations go back to 1998 we have found that allocating a specific time to complete this process with parents outside a nursery showround /visit enables everyone a better transition into nursery life. We offer all children and parents attending more than 20 hours a week two free settling in sessions. The first of these is to gain starting points information about your child and to allow you as parents to see the room in action close up. 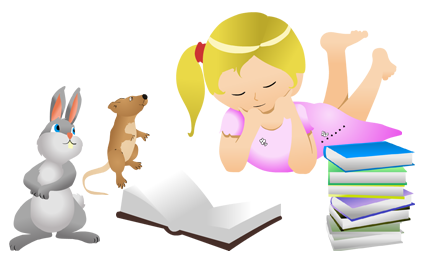 This time really helps parents to feel comfortable about nursery life and the benefits it will bring their child. The second session is more of a practice run for dropping your child at nursery, we encourage and help parents separate from their child for a short time- go and have a coffee, then come back an hour or so later. This eases the first day transition and the natural feelings parents have about leaving their child. Why do all children in Pre School require a uniform? As part of your child’s development we encourage a sense of community and pride in looking smart. Children look forward to moving to the Pre-School group and thrive from the sense of getting older, taking more personal responsibility and having a sense of belonging. The uniform is very much part of that process. We have chosen a local company to supply the uniform and have ensured that they have a good stock level and remain very competitively priced. We do not seek to profit from the uniform merely to gain the valuable benefits it brings to children. A family member will be collecting my child tonight and they have never been before. Is this ok? Yes this is fine as long as they have the collection password with them. We will ask you for a description of the family member and an approximate time they are coming to collect your child. Does the nursery close for Christmas or a Summer break? No we are open all year round only closed on weekends and Bank Holidays.